Do you remember when you were a child and you would give the globe a spin, place your finger on it, and wait to see where it would land? We have this globe at home and I’ll often just plop it on the table during lunch or dinner. The kids can’t help but play with it, and we have wonderful conversations. I’ll admit, I’m often armed with an atlas or my iPhone because the world has changed quite a bit since I was in school- we all end up learning! Where did you end up? Do you know anything about that location? Look it up in an atlas, an encyclopedia, or on your smart phone to learn more! Can you find all seven continents? Compare and contrast their sizes and borders. Are you able to find all of the oceans? What countries do they touch? 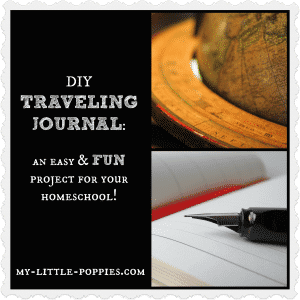 This is a great way to practice the concept of north, south, east, and west! Remember that age-old license plate game you’d play on road trips? You can play it with a globe, too! Discuss where various family members were born. Where did your family come from? Looking for other geography resources? This game is based on a fun and quirky book that your kids are sure to love. Play this a few times and your children will have U.S. geography down! Have you played Crazy 8s before? Borderline is a similar, geography-themed, easy-to-learn card game for ages 8 and up. You don’t need to understand geography before playing, but you’ll end the game with more knowledge! It’s easy to play this card game over lunch or dinner, at a restaurant, or even in the car. You can play it as directed, which involves a memory component, or you can modify it for younger players and just read the cards. Either way, you’re learning! Our family loves these Professor Noggin cards. We have several different decks and we take them on vacation, to restaurants, in the car, and we even pull them out at dinner from time to time! 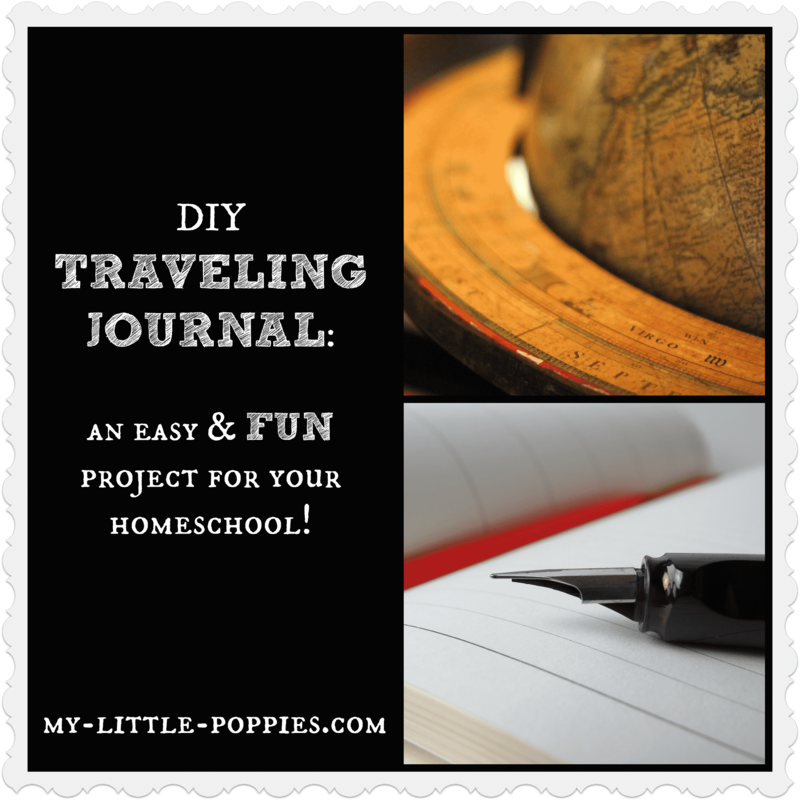 One of the easiest, and most fun, geography activities that we participated in this year was our travel journal. It’s super-easy to make and amazing to receive when complete! Your children will be enthralled by this gorgeously illustrated book of maps. I left this book on our coffee table for a week and I cannot tell you the conversations it prompted. There is also a jam-packed Maps Activity Book that is a wonderful companion piece! Leo is obsessed with all of the horrible books. The geography series includes ten graphic novels. If you have a child who adores facts, he or she will be sure to love these books. With six large and colorful puzzles in one box, your puzzle-obsessed child won’t be able to resist. Bonus? She’ll be learning the countries of the world while she plays! My children love to work on this puzzle together. I love that they are talking about the geography of the United States and learning the location of various states while they work together. It’s a win-win! One super-easy way to encourage interest in geography is to use U.S. and world map placemats when eating meals. Combine this with the globe (above) or any of the games I’ve mentioned and you have wonderful opportunities for learning! When we first started homeschooling, I purchased this entire series for under $10 and I’ve never regretted it. My children love the series and have no idea that they are learning about geography and world history. Win-win! I had never heard of this show, but I’m so glad I decided to risk $5 on the entire series. Just like Carmen Sandiego, my children adore this show and they learn about the history and geography of the United States. 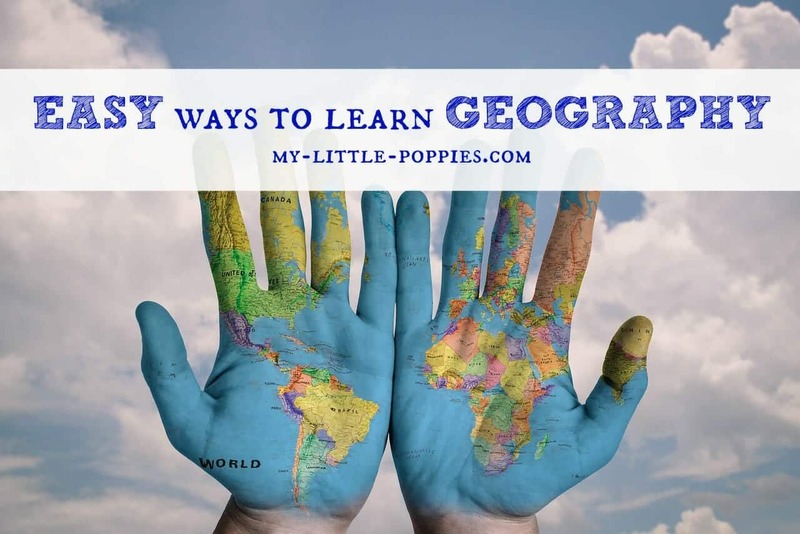 Another super-easy and fun way to learn geography is to get involved in letterboxing or geocaching. Or, why not set your child up with an old-school pen pal? Leo has several pen pals including friends from: Tanzania, New Zealand, Singapore, New Mexico, and even one right here in NH! Now, it’s your turn… How do you sneak in some geography at home? What is your favorite resource? Share here! Caitie, you are a wealth of information. It’s always astonishing to see how much you know about a topic. Aw, right back at YOU, Paula! 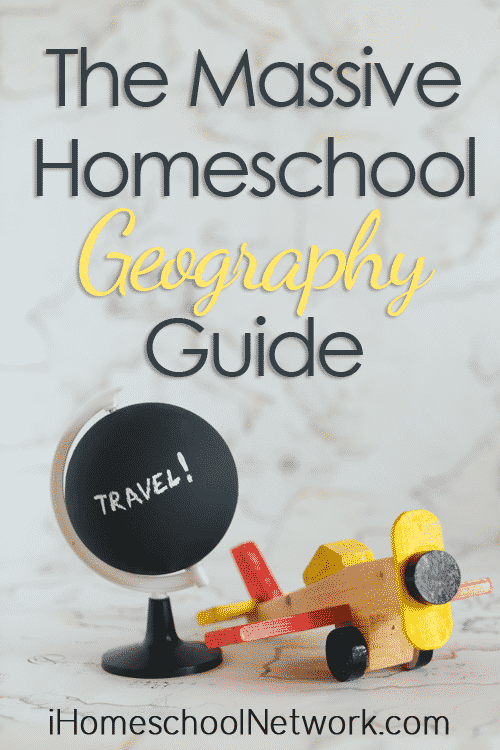 My mom likes to play the map game with my kids, which sounds a lot like your globe game! We just starting using Draw Around the World (my kids are so into drawing), so my 8 and 10-year-old are learning how to draw each state! They can do three so far, so we’ll see. I’ll definitely be looking into these other resources. Thanks! I’ve heard good things about that curriculum. Keep me posted on what you think as the year goes on, Carolyn! I love the puzzles you suggested, but I’d also suggest a United States puzzle that is only 50 pieces. We have one and our daughters have now started seeing if they can name the state based upon the shape. So fun to watch! Does your globe show Reunion island? (East of Madagascar) That’s where I’m from. If yes, fo you have a link for where you purchased? Snapshots Across America is another great game to learn U.S. geography.